The Countdown has begun! Just 30 Sleeps (from Thurs June 21) until NOOSA alive! (formerly Noosa Long Weekend) once again lights up our Town and entertains our Community. BOOK TODAY at www.noosaalive.com.au. NOOSA alive! 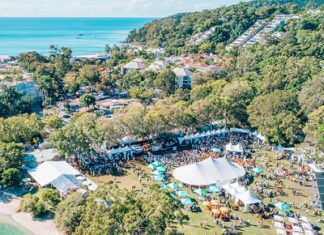 2018, Australian’s premiere regional performing arts and culture festival will once again bring Noosa to life during 10 days of glorious entertainment from July 20-29, 2018 celebrating 17 years of delivering world class culture to community. ‘This year we have 80+ ticketed and free events, 250 artists, we have some sold out events already, there are still some good tickets left for quality events but national exposure hits hard in July and I urge locals not to miss out on some true highlights being presented at NOOSA alive! this year,’ says festival director Ian Mackellar. ‘In my 10 year history with NOOSA alive! (formerly the Noosa Long Weekend), I have never been so proud as this year’s program,’ says Ian. It is the sheer quality of production and performance and caliber of artists visiting Noosa during NOOSA alive! that makes 2018 a stand-out year. ‘Beyond heading to the website to peruse for immediate bookings, let me advise some superb highlights that may help with your decision making,” he says. OLE! OLE! 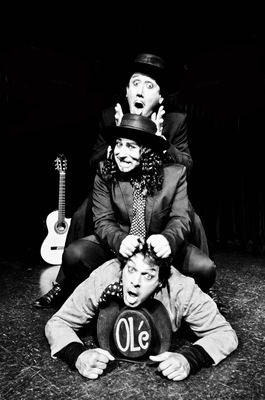 – 3 Latin Machos in their world acclaimed Flamenco guitar comedy show, where Flamenco magic and zany slapstick collide at breakneck pace! This show has been celebrated internationally, you will be in awe of the serious musical talent and sheer entertainment, fun and hilarity that unfolds. Marjorie Prime Queensland Premiere: Direct from sell-out season at the Ensemble Theatre Sydney. A thought provoking play that explores life, relationships and technology and relative impact in today’s world. An award- winning play directed by Mitchell Butel and an unbeatable five-star cast including Australian theatre icon Maggie Dence, Lucy Bell, Richard Sydenham and Jake Speer especially for Noosa. Straight from the Hart, Blake Bowden: Australian star of music and stage with a string of hits past, currently starring in ‘Book of Mormon’ in Sydney kicks off a national tour with his brand-new show – Straight from the Hart. This is a ‘world premiere’ unique showcase experience beginning right here in Noosa. Accompanied by a ten-piece band, Blake will lead you through the story of Lorenz Hart, world famous lyricist, arguably the father of American musical theatre and of Broadway. Be prepared to hear all your favourite hits including Blue Moon, My Funny Valentine, The Lady is a Tramp and With a Song in my Heart. Tuesday 24 and Wednesday July 25 The J Theatre 2pm matinee – $57.50 and 7.30pm – $62.50.Head to the website and check it out all the other fantastic events and book tickets at WWW.NOOSAALIVE.COM. Next articleImaginate Art Festival Is Here!